I am proud to present to you the following guide on the top poker apps available to UK poker players, and not only am I going to be listing those UK poker apps in this guide but I am also going to enlighten you fully on the many additional benefits that will always be coming your way if you choose to make use of them. If you have not yet ventured into playing in the mobile poker playing environment, then I do personally feel that you have been missing out! 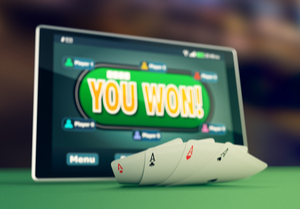 By playing on your mobile device, whether that is an iPhone or Android device you do have the complete flexibility of being able to play poker anywhere you happen to be. 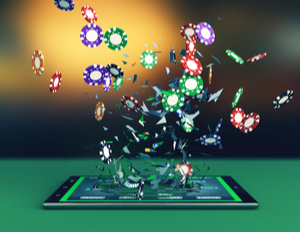 Make no mistake about it, everything that you will find available when for example you choose to play poker via an online poker software platform is going to be on offer to you when you make use of a mobile poker app, so you will never be faced with making any type of comprises when using such an app, which is important to know. As far as getting access to every single poker game variant, every type of poker tournament and also earn poker rewards and being able to claim poker related bonuses and promotional offers and deals, those are just some of the many things available to you at any of our featured top 20 + UK poker apps. There is no doubt in my mind that as long as you play at any of our featured poker sites and make use of their free to download poker apps then you are not going to get the urge to play anywhere else. Each poker app presented to you throughout this website has been handpicked and every single one of them is owned and operated by a company that has been fully approved by the UK Gambling Commission too. The Zynga Poker ( Android , iOS)app will certainly be a good one for any players that are fairly new to the world of playing poker or those players who have no experience of playing what so ever, as you get a good insight into how to play off each hand optimally when making use of that app. Another popular free mobile app is called Snap Shove app (Android , iOS) for it is more of a tool than an actual app on which you can simply play free poker, and it is going to allow you to get your head around the much more intricate aspects of playing poker and learning how to play off each hand and what to look out for when playing. The World Poker Club app ( Android , iOS) is a state of the art free play poker app that boasts some very high definition graphics in its design; however what does stand out about that free play poker app is that it is a popular one with players and is extremely simple to use too. I would also urge you to take a look at the Jackpot Poker app ( Android , iOS) that will be on offer to you from Poker Stars for it is one of the most advanced free play poker apps and no expense has been spared in its design, and it is a very easy to use app that many players do enjoy making use of! There are of course a load of unique features that you should be looking or from any apps you make use of, but always try and use on that is easy to operate on the mobile device your own or have access to. Obviously the busiest poker apps are going to be the ones that will be offering you the best cash prizes regarding their tournaments, and more players does also mean more open poker tables too. One other thing you should look out for when choosing a poker app is that you should be allowed to set your account to operate in your own home currency. Pros and cons are what you need to be aware of when it comes to choosing a poker app, however if you do select one from one of the major poker sites, then you are always going of find plenty of poker game variants and plenty of poker tournaments will be on offer to you. Not all poker apps do have poker tournaments on offer and some may only have a tiny number of different poker game variants, so that is one of the cons of playing on some poker site apps. As for the major benefits of playing on a poker app that is of course the fact you can play your favourite poker games and enter any poker tournaments no matter where you are or when you want to play! Deep Stack Poker Tournaments are very appealing, much more so to players who haven’t been playing and entering poker tournaments for very long, for by taking part in them you are going to be able to pay your entry fee as is standard, but you do then get allocated a huge number of starting tournament chips. What is good about playing using Poker App? Do people cheat and collude when playing via a poker app? What UK poker app tournaments are available? Are free poker app tournaments available in the UK? What UK poker apps bonuses can I claim? Am I able to set my loss limits playing on UK poker apps? Is a full audit trail available on UK poker apps? That means these types of tournaments can last a little longer than most other tournaments but that is, as you would expect, down to the way that players do play off their hands, but these extra poker chops you are allocated when taking part in a Deep Stack poker tournament often come in very handy. You will of course need to fully get to grips with the way that these types of tournaments have been designed, and even though you do get a lot of chips when taking part in them you do need to know how to play off your hands using the best strategy too. Therefore throughout this guide which is completely dedicated to Deep Stack poker tournaments I will be giving you an overview of how they have been designed and looking at where you can enter them and of course the very best strategy you can adopt too when entering and taking part in them. As the end of the day though, please do ensure that you are fully aware with the complete ins and outs of playing not only in Freeze-Out poker tournaments but all other types you can come across, as you may be better suited to playing in some tournaments and not others! What I have chosen to therefore do, as I am aware many poker players at one time or another are going to fancy taking part in Freeze-Out poker tournaments, is to put together this very in-depth guide on how to take part in such tournaments in the hope you can gain a winning edge, or at the very least improve your poker playing action! Playing on a poker app and entering some tournaments such as freeze out ones without a shadow of a doubt going to be the most common type of poker tournaments that you will come cross no matter in which poker playing environment you do decide to take part in, and you are of course going to want the very best chances of winning when taking part in any such tournaments. As such what you should be prepared to do and always make sure you do is to put into place what you feel is the very best Freeze-Out poker tournaments strategy possible, for if you don’t then you are going to be left at the mercy of luck alone as to whether you do win any Freeze-Out poker tournaments or not. It will be the experienced players who have fully master the art of playing poker that are going to always have the very best chances of winning especially when it comes to Freeze-Out poker tournaments so you are going to be best advised to watch and learn how other players play. There is of course a very easy way that you can watch and learn from the experience of other poker players, and that is by simply watching videos such as the one above. I have chosen that video as it is with a shadow of a doubt a very good starting point for anyone wishing to enter Freeze-Out poker tournaments. So please do sit back and watch that video as by doing so and always watching many other you will find you do quickly get to grips with the very best and ultimate way to play off certain hands whenever they have been dealt out to you. You are bound to have lots of questions relating to playing poker and also playing in Freeze-Out poker tournaments, and as such in the final section of this poker sites poker apps guide I am going to be answering as many different related questions as I possibly can do, so please or read through this final section, as you are bound to find it of interest. To be perfectly honest, there was a time when collusion was a serious problem for online poker sites, for in years gone by it was almost impossible for poker site operators to detect players that are colluding. However, thanks to the advancement of technology it is now relatively simple for poker site operators to detect any form of player collusion, so you will be playing in a safe environment. The best places for you to get a full and complete overview of just which poker tournaments are going to be up and running at any one time of the day or night is by you simply checking out the poker tournament schedules listed at each poker site. By you doing so you will get a full insight into just when your favourite types of poker tournaments will be up and running at any poker site. Poker sites tend to have a good mix of different poker tournaments up and running day and night, and as such there is no good time or bad time to log into your chosen poker site if you want to play just one type of poker tournament, for no matter when you do decide to log in you are always going to find plenty of tournaments about to start of ever possible type and structure too. Just make sure that if you are interested in claiming any poker sites poker bonus offers, that you fully read through every single one of the terms and conditions associated with the bonuses you fancy claiming, as often there can be some unique rules in place dependent on just which poker sites you do choose to play at, and the terms and conditions will explain everything to you about each bonus. One recent legal requirement that all poker sites that are licensed in the UK must adhere to, is giving their customers the option of putting into place a few option settings regarding how much they wish to deposit and lose over any given time period. As such if you think you may be tempted to gamble too much make sure you do set your own gambling limits when you log into your poker site account.